Hawaii, backpack and small budget / Prologue: Booking, packing and getting ready. Hawaii. What a wonderful name. A name that vibrates in the ears, slips into the mind, where it draws the lines of many dreams and fantasies. When you live in California, traveling to Hawaii is a bit like going to visit your next-door neighbor. Well, it is still around five hours to get there, but flying to New York would not be a shorter trip. By regularly putting some cash in a box over the last year, the piggy grew big enough for us to finally make the journey. Meet your two travel companions! Bonus special skill: a lot of them. She is fantastic, AND my fiancée. Unfortunate and inconvenient special skill: natural mosquito attractor. We got our tickets together, I took care of the rest of the planning/preparation. 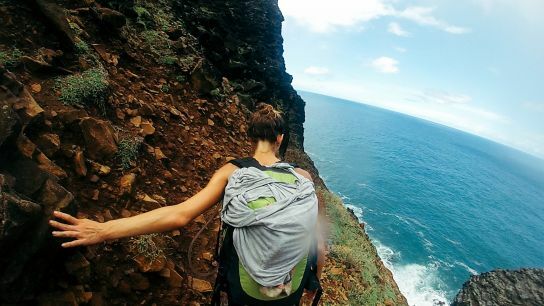 With almost no idea of the route and the adventures that were coming her way, this Ballerina showed amazing courage, bravery and resistance to Nature’s obstacles and challenges. Bonus special skill: comes with a big backpack. Inconvenient special skill: wants to take pictures. All. The. Time. 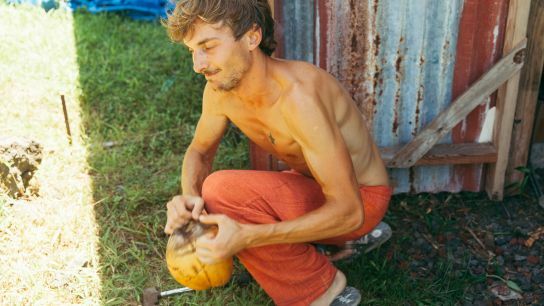 Detail-oriented, resourceful, will learn on a remote and empty beach how to open fresh coconuts with lava rocks, for their water. Loves it when a plan comes together. For our first visit of the Hawaiian Islands, we decided to focus on three keys: Nature, Adventure and (Meeting) Locals. A three-week journey, that we decided to split between two islands that we thought would match our expectations. A pearl of beauty in the Pacific Ocean. Man does not seem to have even tried to tame the Nature there. Lush and luxurious green, small bays and pristine sand beaches, unaccessible valleys and breathtaking landscapes. Beyond imagination. 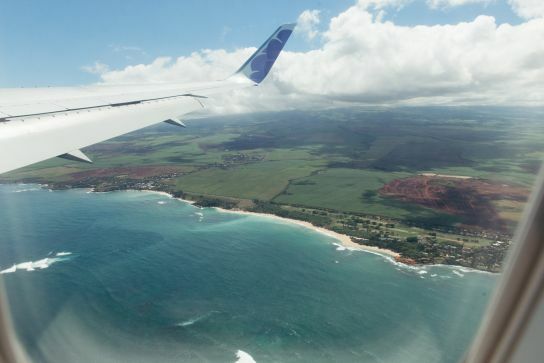 Kaua’i has this strange and unexplainable force that once-mainlander people told us about: “once there, it is really hard to leave”. A little more urbanized, but people here seem to be living a simpler life than the one we know on mainland. Time seems to matter less, money, sometimes, to be an abstract concept. Connected to Mother Earth, people on Big Island know that it is the land they have to cherish and grow. The “What” and “Where” kind of go together. We decided the “where to go” based on the “what can be done there”. Beach, swimming, snorkeling: you do not go to Hawaii without spending some time at the beach. But because of its location in the Pacific and its volcanic origin, the islands present a lot of waterfronts which have no reef separating the beach from the open Ocean. In these spots, strong currents and riptides can drag even good swimmers out to sea with no option of returning. A lot of beaches have rescue equipment, emergency phones, and signs “If in doubt, stay out!”. I found a great website referencing all the beaches of Kaua’i #1, with the option of filtering them by activity: snorkeling, swimming, surfing, etc. Most of the travel guides also have an exhaustive listing. Eat and drink: we grow and eat organic at home, so why not visit Mauna Kea Tea #2, an organic tea farm? or one of the many (more than 200 of them spread on the Islands #3) Farmers’ Markets? There are also numerous coffee farms on Big Island (more than 400! ), in a whole area named the “coffee belt”, you just have to pick yours and plan a visit! Big Island also hosts a winery on lava rocks #4 really close to the Volcano National Park, which offers tours and tasting. You will find there really interesting and unique products. Stretching your legs, a.k.a. “hiking”: with 50 State Parks #5, the hiking playground is just perfect. With so many trails available, follow your instinct and read the details of each hike. Some are really easy and accessible, some really strenuous and should only be done with excellent physical condition and good equipment. We went for some adventures in some of the most amazing places, like Koke’e State Park, Nā Pali Coast State Park, on Kaua’i, or Waipi’o Valley on Big Island, to name a few. More to come in the next episodes. Other activities: there is a lot more to do, and there are a lot of ressources around the web. Spending some time browsing and reading is always a good thing. But here are some links I took information from and bookmarked: “Best free attractions and activities on Kaua’i” #6, “Kayak Kaua’i” #7, “Unreal Hawaii” #8, a “collection of stories for people who love the Hawaii outdoors”, as it names itself, will give you some chills and make you wish you were already there. “TryKauai” #9 has a lot of interesting articles and references too. How to make it Low-Budget? We got our tickets early enough to buy them at their cheapest price with Hawaiian Airlines #10. Digging online made me find that the prices start to be played with and go up three months before the departure date, with this airline. That is the thing to know. Take your ticket before the 3 months deadline, and you will get the rock-bottom fare. Renting a car can be pricy too. You can use the bus or hitch-hike, but we were ready to spend some money to have some freedom. After a lot of time browsing websites, I found this rental company/engine which works with the major ones: Discount Hawaii Car Rental #11. Discounts. Free second driver. Booking through them ended up being cheaper than through the final rental company itself. In Hawaii, even the simplest hostels can be expensive. On Kaua’i, when I was looking for places to sleep, the cheapest I found started at $ 35 per person per night. Better spend these $ 70 / day on something else than “just a bed”. AirBnB was an option too, but hey, again, how can we spend better?? We went onto the Couchsurfing #12 side. New experience, I created my profile and browsed through the locals’ profiles, and sent, literally, a ton of messages. 157 different hosts. That is my “ton of messages”. Out of these, only 57 replied, most of the time to kindly decline (“out of town”, “already hosting Couchsurfers on these dates” …), but out of these 57, some accepted our requests, and most were also really helpful and gave us a lot of tips and advices. So, for a first time, it ended up working perfectly. And to be true, it could not have been better. Wait for the next episodes. 5 assorted bags of Mountain House freeze-dried food. Each bag was $ 0.50 to a dollar cheaper at Any Mountain, compared to REI. When you need gear, food, chocolate (yes, need!) … spending a bit of time looking around before buying can save a lot. I saved us around $ 400–500, and that makes a lot more money to spend—or not—during the trip! On top of that, we packed a lot of everyday food we would need, to spare some extra dollars there: organic dark chocolate from Trader Joe’s (super good and cheap), two dozens organic maple-cinnamon oatmeal bags (just boil water and you get an amazing breakfast, or snack-booster) and around 30 LÄRABAR nut bars (they were on 20% sale on Amazon ). These can be more pricy in Hawaii, so we packed our own survival kit, including also some cheese, salami, and wine, to cover the primary needs. 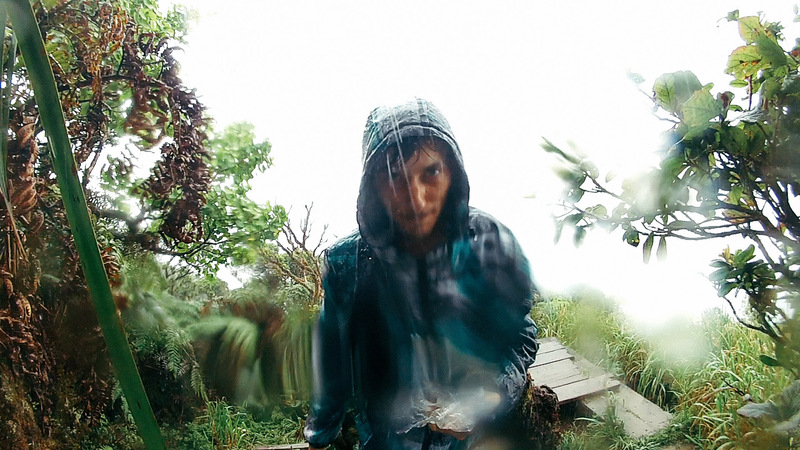 Next episode: Episode 1: Kaua'i — A storm is coming.